The minute your plane lands in Thailand it's not just the weather you'll feel the warmth of; Thai’s are amongst the friendliest people in the world and their wide smiles will make you feel instantly at home. Whilst the intense experience that is Bangkok will probably be your first encounter with the country, relaxation can easily be achieved by heading inland or towards the tropical islands for which Thailand is so famous. Combine this with a fantastic cuisine and favourable climate, and you’ll soon realize that there is no better destination to ‘Thai’ the knot than in Thailand. Main Religions: Whilst there is no official state religion in Thailand, almost 95% of the population are Buddhist (Theravada), with a small percentage Muslim, Christian and Sikh. Chiang Mai and neighbouring northern provinces are a nature lover’s dream. One glimpse of the mountains and forests which cover the landscape and you’ll be pulling on your hiking boots, eager to get going on your trek through the hill tribe villages which call this region home. At the core of the country is its pulsating capital Bangkok, a 24 hour city where east meets west and old meets new. Your itinerary will no doubt mix a bit of culture, history and relaxation, a non-stop whirlwind of temples, palaces, markets, and indulging in one of Asia’s best cuisines. When the hustle and bustle becomes too much, head to the water and the floating markets of Pattaya or the coast at Hua Hin, the original Thai beach resort. The southern peninsular is home to the island archipelagos, crystal clear waters and white sandy beaches so synonymous with Thailand. Both the larger resorts such as Phuket and Koh Samui and the smaller islands like Koh Phi Phi and Koh Tao are the embodiment of tropical paradise, offering leisurely days where the hardest decision is whether to swim, dive or relax with a good book on your sunbed. The length and breadth of this diverse country offers an unparalleled bounty of breathtaking scenes, providing a dazzling assortment of potential wedding locations. Heading south, where the country’s famed islands are found, there are two distinct seasons: rainy and dry. On the western coast of the peninsular the monsoon season falls between April to October and can bring with it heavy storms and much disruption. The east coast monsoon is generally milder, falling between September and December. Familiarise yourself with the word sawasdee before you leave. The Thai equivalent of ciao is, like its Italian counterpart, used as both hello and goodbye. Expect to use it often, as Thailand is one of the friendliest nations in the world. Other key phrases to remember include: sabai deer u (how are you? ), khob khun (thank you), chai (yes), mai chai (no) and yin dee ton rab (welcome). The wai is an important aspect of Thai culture. Used when entering someone’s house, or as thanks or an apology, this greeting is when you bow whilst bringing your palms together, as if in prayer. Social standing is very important in Thai society and as such the rules of the wai are quite intricate. As a general guide for foreigners, it is best not to initiate a wai with someone who may be younger than you, however always offer a wai in return. Whilst the more touristy areas of Thailand may seem very westernized, it’s essential to remember a few key rules to avoid causing serious offense. Thai’s are a deeply religious people who pay great respect to their monarchy, so these are two subjects where it’s important to keep the tone respectful. Holding hands or linking arms should be your extent of public displays of affection. This is a country where what other people think is very important. The concept of ‘face’ is one of the guiding cultural principals and losing face is to be avoided at all costs. Be careful expressing your anger or displeasure in public, as this is a non-confrontational society and great emphasis is placed on being polite and respectful. The head is a sacred part of the body, therefore touching another person’s head is a no-no. Conversely, feet are considered dirty, so remove your shoes before entering someone’s home and never step over someone who is sitting on the ground. Recognised as one of the world’s finest, the cuisine of Thailand is fresh, flavoursome and fragrant. Sweet, sour, spicy and salty are common elements to every Thai dish and Thai Curry , Pad Thai and Tom Yum soup can now be found on restaurant menus around the globe. There’s so much more to discover on the Thai menu than what has captured international recognition, however. Each meal is a celebration in itself; a gathering of friends and family to share and savour together. Yet not all meals have to be big sit down affairs (although, of course, your wedding should). Search out quality food and a buzzing atmosphere in the street stalls of Bangkok and Phuket. It’s a little known fact that Thailand boasts a budding wine industry with vineyards extending from the north to south past Bangkok. Day trips can be organised from the capital. If a refreshing beer is more to your taste, however, you’ll probably already be familiar with two of Thailands greatest exports: Chang and Singha. Tipping is not standard, although it’s worth remembering that many higher scale restaurants and hotels in larger tourists centres include a 10% service charge in their bills. The local currency of Thailand is the Baht (THB). Reflecting Thailand’s status as a major tourist destination, you’ll find no shortage of ATM’s throughout the country. Credit cards are widely accepted in major hotels and larger cities, however when traveling to more remote areas, or staying in smaller guesthouses and eating in family run restaurants, cash is still king. Banks offer the best money exchange rates and their preferred currency is the US dollar, followed closely by the British pound and Euro. 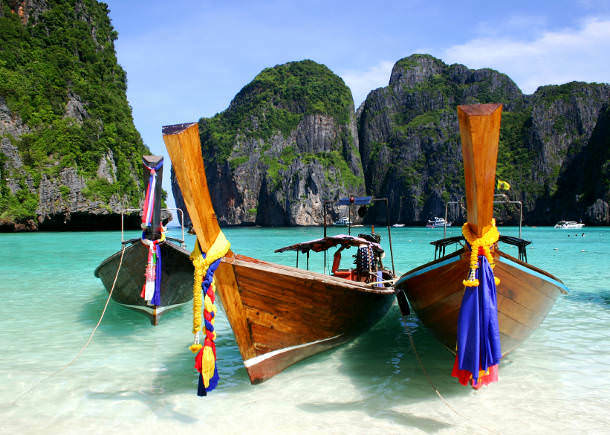 Thailand is a synonym for friendly people, tropical beaches and tasty food. However, if you need any further convincing that this is the perfect choice for your destination wedding, well here goes: every one of your precious wedding dollars goes much, much further here. Thailand offers visitors great value for money, and it’s no different when it comes to your destination wedding. Luxury hotels and resorts advertise an array of all-inclusive packages which take the stress out of planning. The best cover all aspects imaginable; from the paperwork to the honeymoon and everything in between. As a guide, the average wedding in Thailand costs between USD $1,500-2,500. The following notes are not comprehensive and are intended as a guide only. Before planning your wedding in Thailand we strongly advise you to contact the Thai embassy in your home country or your country's embassy in Thailand to obtain up-to-date legal requirements. Unlike many countries, there are no short-term residency requirements to fulfill before saying ‘I do’ on Thai soil. Paperwork, unfortunately, is unavoidable and therefore you are advised to arrive in Thailand with enough time before your ceremony to complete all necessary procedures. This requires a stay in Bangkok and usually around five days is recommended. The first step is visiting your country’s embassy in Bangkok to complete a statutory declaration, which must be notarized on site. This form must then be translated into Thai, along with your passport. The second step is certifying both the original and the translated documents at the Department of Consular Affairs, also in Bangkok, for which you should allow two working days. 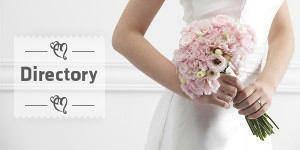 Finally, you’re ready to visit the local civil registry office (known as Amphur) to officially register your marriage. It’s a case of simply presenting the documents, and, voila, you are now married! The rather no frills nature of this official procedure means that religious ceremonies hold much significance in Thailand. Remember, however, that for a marriage to be considered legal it must be registered at the Amphur office. Some resorts are able to organise to have an official from the Amphur present at your wedding instead, although best to confirm this with your chosen venue. Visit the website for the Thai Embassy in your own country for further information about the legal requirements for marrying in Thailand. In the heart of mainland Southeast Asia, Thailand shares a border with Myanmar, Laos, Cambodia and Malaysia. The country itself is separated into a massive 76 provinces, plus the capital Bangkok, which is classed as a special administrative area. Each of the provinces can be classified geographically into one of six regions: Northern Thailand, Northeastern Thailand, Western Thailand, Central Thailand, Eastern Thailand and Southern Thailand. Find out more about the Regions and Provinces of Thailand or browse our Thai Wedding Directory to start planning your dream wedding.